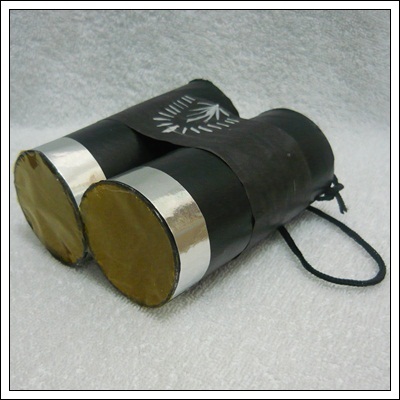 Wrap the binoculars with a strip of black sugar paper. Wrap a strip of gold or silver paper on each roll too. You may also cover the roll with colored cellophane as the lens.